If it’s an actual street in Beverly Hills, then why describe it as a conception of what Beverly Hills might look like? 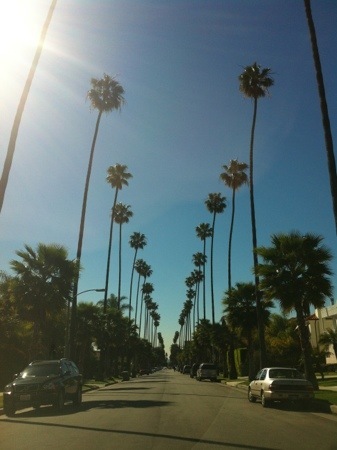 I know that not all the streets in Beverly Hills are lined with palms, but a few are, and they are iconic. A very nice photo, by the way — glad to see it posted.